Recently my girlfriend completed her 8th marathon in Charlottetown, Prince Edward Island. I despise running for reasons most of us probably do, so I’m always immensely impressed with people who do marathons. Not only is it physically demanding, but it’s also taxing mentally. Because of that, and because I’d like to think of myself as a supportive boyfriend in general, I decided to join her to PEI for the marathon. We knew well in advance of when the marathon was, but I was unsure of what sort of press vehicle I’d be driving that week. We discussed it. If I ended up with a subcompact or something similarly less desirable for a 4-hour road trip, we would take her large and comfortable Ford Fusion. 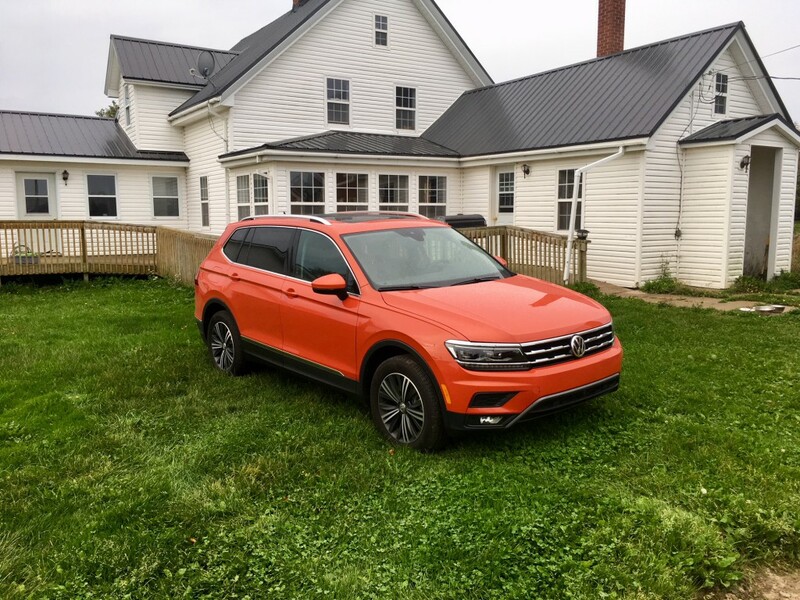 When I finally found out that I’d be driving the new Volkswagen Tiguan the week of the marathon, my girlfriend had some reservations. “Aren’t those kind of small?” she asked. Ordinarily she would be right (as she usually tends to be). But this time, she could be forgiven since VW took literally more than a decade to redesign and rework the Tiguan. Previous generations were on the smaller side of the compact crossover scale. But for 2018, Volkswagen has changed that. 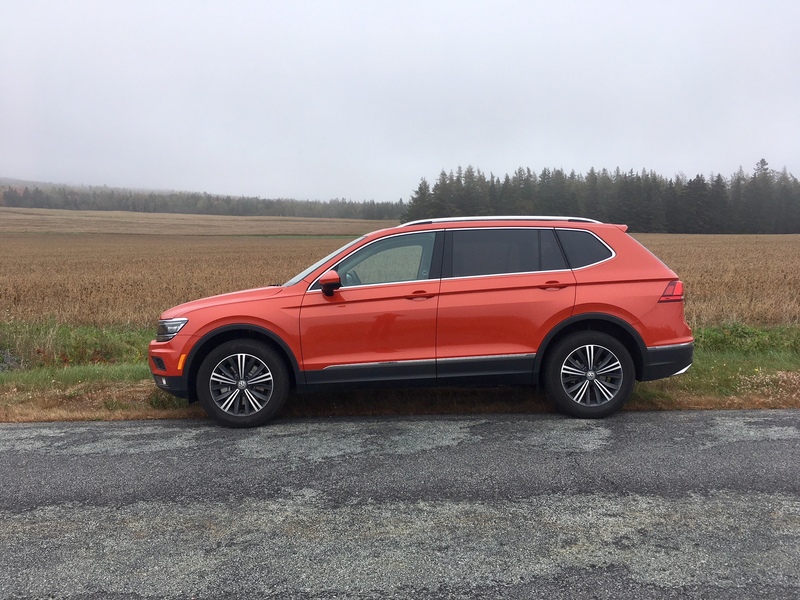 In fact, the new Tiguan is so much bigger that they can now fit a third row of seats. 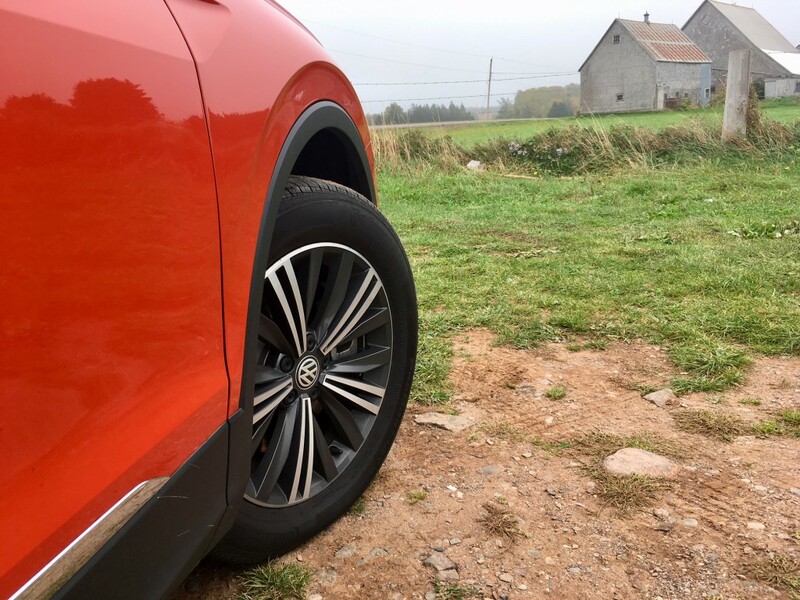 The only competitors in the segment that offer a third row is the Nissan Rogue and the Kia Sorrento, though the latter blurs the line between compact and mid-size. After having sized the Habanero Orange Tiguan in the driveway up and down when it arrived, my girlfriend agreed it would make an acceptable rig to get us to the island. 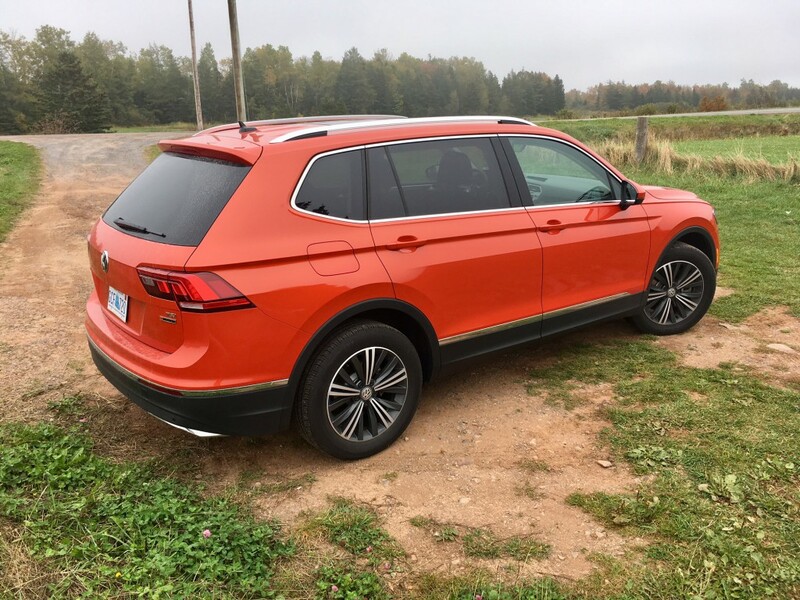 While the Habanero Orange paint helped the Tiguan stand out a bit (most people didn’t care for the colour, by the way), Volkswagen has, as it typically does, stuck with a more evolutionary approach to design. 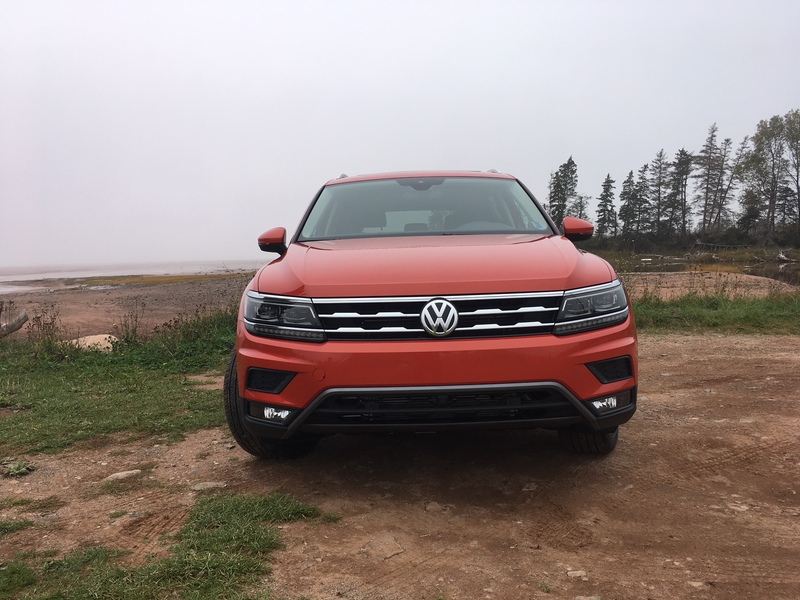 It still looks undeniably Volkswagen, taking cues from the new Atlas with chiseled lines. All Tiguans now come with LED tail lights and brake lights standard, along with LED daytime running lights helping it to stand out a little in the pack. The chunkier styling seemed to be favoured by those who saw it. Inside, the Tiguan gets the modern day Volkswagen corporate treatment as well, which is a good thing. 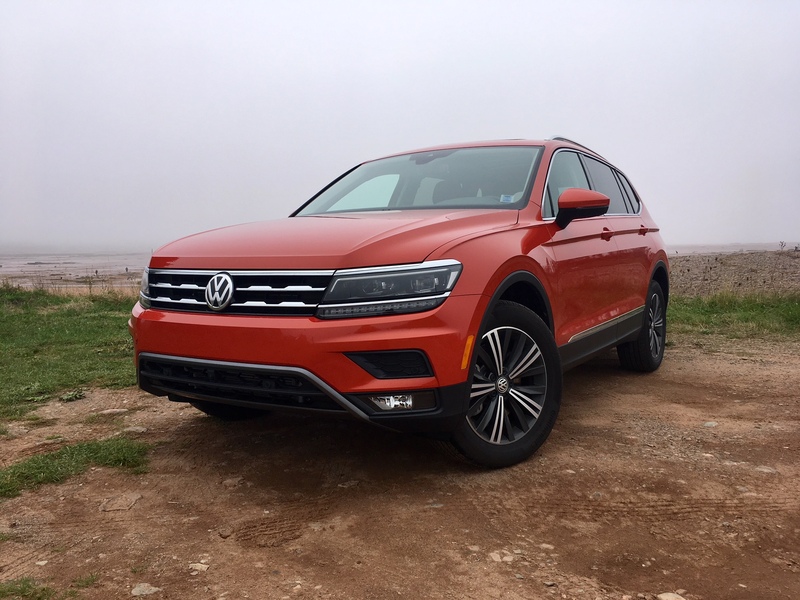 I can’t think of any other crossover in the segment that feels more premium than the Tiguan. While the layout is fairly traditional, it doesn’t overwhelm because of it. Material quality is top notch. My tester’s Highline trim meant a lot of neat features such as a responsive 8-inch touch screen and a customizable digital display behind the wheel, inspired, or perhaps taken directly, from Audi. No one will likely complain much about a lack of space, unless they are relegated to the second row middle seat. There is plenty of room, though the cabin doesn’t really feel all that airy. Cargo room is vastly improved over the old Tiguan. There is now 38 cubic feet available which is now much more competitive to the Honda CR-V’s 39 cubic feet. Under the hood you’ll find a 2.0-litre naturally aspirated inline four cylinder which produces 184 horsepower and 221 pound feet of torque. Horsepower is down by 16, but torque is up by 14. This is an interesting choice by Volkswagen. Presumably they detuned the horsepower figure to improve fuel consumption and upped the torque to help move it adequately from a stand still since the new Tiguan is now heavier than the outgoing version. The end result is a rig that isn’t necessarily slow, but now necessarily fast either. 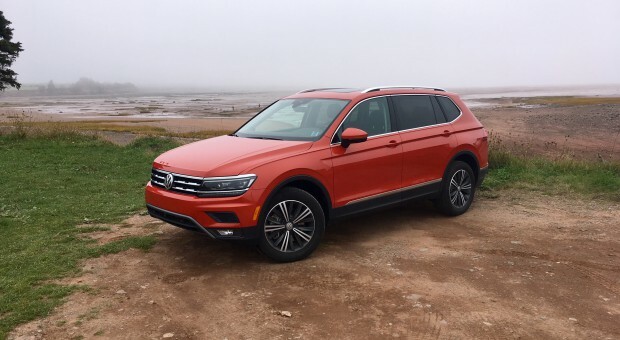 Adequate power is the name of the game, and that’s a bit of a shame, because the old unit in the previous generation Tiguan made it feel quite peppy. 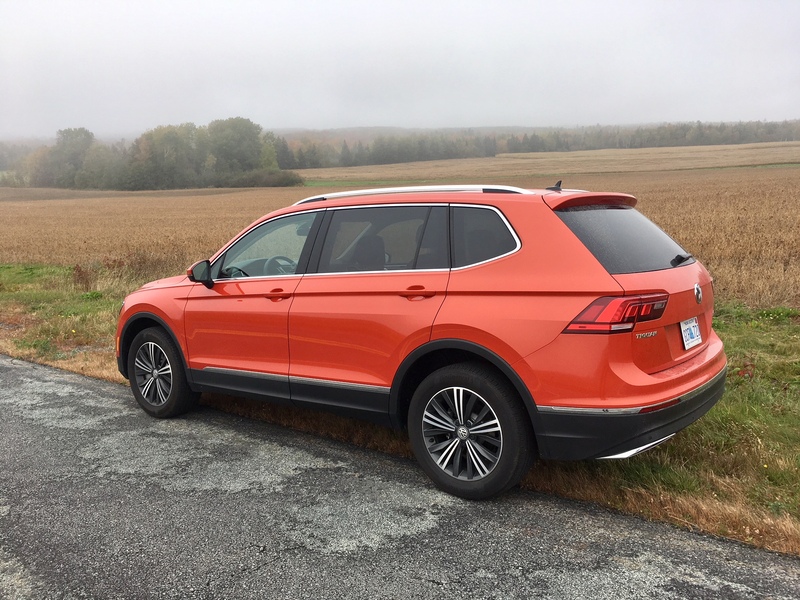 This new Tiguan just feels slightly above being neutered. There’s a new eight-speed automatic transmission that both shifts and works well with the engine. Sadly and unsurprisingly there is no manual transmission available. Its on-road mannerisms are nothing like the previous generation. That’s either a good thing or a bad thing depending on how you look at it. The sporting nature is completely gone in favour of a more ‘normal’ crossover feel. This means steering responsiveness has been toned down, handling abilities has decreased and, as mentioned, it doesn’t feel as spritely off the line. For someone like me, this is disappointing. But, truthfully, Volkswagen made the right choice by stepping away from the performance pedestal. While Mazda and arguably Ford have stuck with having your cake and eating it too with the CX-5 and Escape respectively, the crossovers that sell the most in the segment are the more utilitarian Honda CR-V, Toyota RAV4 and Nissan Rogue. Volkswagen cannot be blamed for wanting a piece of that pie. And that sort of approach to crossovers is what buyers in the segment want and expect. 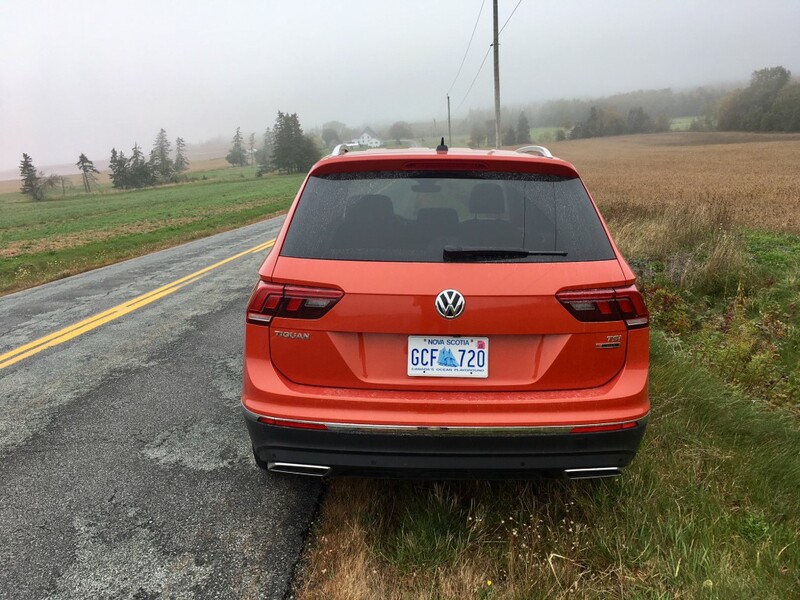 That isn’t to suggest that the new Tiguan is a complete bore to drive. Its highway mannerisms are still typically German; solid, quiet and composed. This was especially obvious on our trip to PEI. Passing a slow moving vehicle isn’t blistering, but definitely achievable with minimal effort. Bumps and other imperfections in the road are rarely noticed. The light steering feel induces a more relaxed state. Rather than being a star corner carver, the Tiguan now shines as being among the best for long-distance driving. Official fuel consumption ratings come in at 11.3 L/100 kms city and 8.8 highway. After a week of driving, I returned 8.7 L/100 kms in real world driving. Obviously that is quite good, but of course our frequent long-distance driving helped make that figure possible. I would hazard to say that driving in a more combined city/highway setting would result more realistically in the 10 range. In the end, a hip injury prevented my girlfriend from getting the time she wanted at the marathon. But, joy of joys, she still finished a full half-hour quicker than she anticipated! I continue to be so proud of her accomplishments. And Volkswagen should be relatively proud of their accomplishment with the new Tiguan. While it certainly is far from the vehicle it started out as, it is now much more competitive all while adding great tech and premium feel.